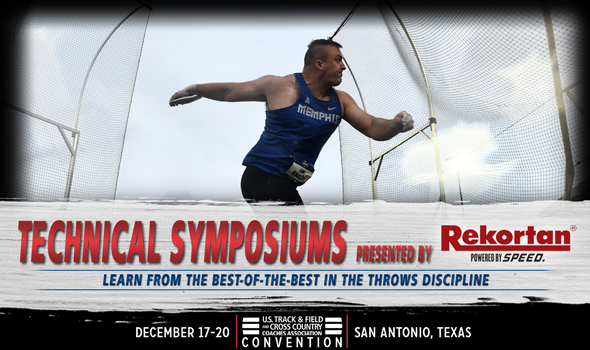 Here is a closer look at six coaches who are scheduled to present Technical Symposiums in the throws discipline. Success has followed Cappos at each of his stops as he guided Nick Percy to an NCAA discus title in 2016, helped athletes break numerous Big Ten records in 18 years at Iowa and coached seven All-Americans in several years at Western Michigan. When a group of throwers scores enough points at the NCAA Championships to place ninth as a team alone, you know a coach is doing something right. That’s exactly what Zeb Sion’s Stanford women did outdoors last year. Sion, now at Texas, watched his athletes score 31 points – the most by any group of throwers in the past 20 years – which included the first 1-2 sweep of the javelin in NCAA DI women’s history. Over his 11-year career, Sion-coached athletes have earned 26 All-America honors with 11 coming at Stanford, 11 more at NCAA DIII U of Chicago and four at Wake Forest.